When I first saw ‘performance research’ literature on my MSc reading list, I was sceptical. How on earth could the arts help us in research? What even are ‘performance’ research methods? I decided to be brave and after finding out a bit more, I’m glad to say that there are plenty of ways in which performance and creative methods in research can help us gain unique insights into people’s experiences and personal stories in a way that perhaps other research methods can’t always do. Despite what you might first think, using performance to collect research data can be rigorous, especially if it’s triangulated with other data sources. For example, Playback Theatre involves audiences (or participants) telling their stories and seeing them ‘played back’ by actors, stopping and starting the action to show researchers what their experience actually looks and feels like. This can allow participants to reflect on their experiences and ensure that researchers fully understand participants’ meaning (see Kaptani and Yuval-Davis’ study for further examples of how theatre can be used in research). Arguably, performance methods could help us to gain a deeper understanding of young people’s views and experiences and some young people might not feel comfortable performing, there are a variety of methods that can be used to draw out insights from young people in a way that works for them. Some young people may find it difficult to verbally express themselves in recorded interviews. Furthermore, some young people with disabilities may not be able to communicate through speech. Creative methods could help more young people to tell their stories. At LKMco, we used some of these methods as part of our research into youth homelessness . Young homeless people drew timelines and took photographs to depict their journey through education. This helped them to reflect upon their experiences during the interviews that they conducted with one another with questions they had written themselves. Not only that, it helped them tell their stories on their terms at the report’s launch event, something far more powerful and empowering than us doing it for them. 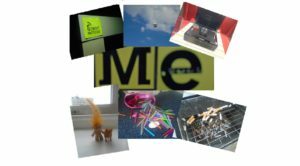 Photographs taken by young homeless people in Newcastle and London. Research reports are useful for practitioners and policy-makers in the education and youth sectors. However, performance can be used to disseminate research findings to a wider audience of stakeholders. This can be an effective way of helping others to empathise with young people and inspire them to take effective action. As part of our youth homelessness project, young people took lead roles in the report’s launch event. Their photographs were put on display and they explained their experiences to the event’s attendees. One young person also took part in a panel discussion. I will never forget the emotional discussions that took place amongst policy-makers, education practitioners, charity leaders and young people. Stakeholders had the chance to really understand young people’s points of view because they got to see the reality behind the statistics. Performance and creative methods have an important role to play in education and youth research, something not to be overlooked or scoffed at. 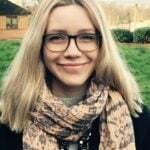 Whilst it’s not our only research tool, and it should be triangulated with other methods to improve validity, performance research has the potential to help us to better understand young people’s experiences. Here at LKMco, we’re busy thinking about how these methods could potentially be used to inform future projects. Whilst interpretive dance won’t be on the cards (sorry team), we will be incorporating some more innovative research methods to help get marginalised young people’s voices heard. Watch this space for future projects!